Above: A helicopter makes a water drop next to the road in Okefenokee National Wildlife Refuge on the West Mims Fire. Photo via InciWeb. Additional air resources arrived on Tuesday to join crews battling the 140,000-acre West Mims Fire on the Georgia-Florida border. The Very Large Air Tanker (VLAT), a DC-10 fitted with a retardant delivery system, arrived Tuesday afternoon but was only able to make one fire retardant drop before low visibility due to settling smoke made subsequent air operations unsafe, officials said. The aircraft is capable of dumping 11,600 gallons (44,000 liters) of chemical fire retardant in a single run, and it joins more than 700 firefighters and support personnel working to contain the blaze with bulldozers, helicopters and smaller planes. The DC-10 is stationed in Chattanooga, Tenn., hundreds of miles away from the fire. Though clear across the entire state of Georgia, that location is the closest airport rated to handle the needs of a place its size, officials said. Crews caught a break on Tuesday — the fire wasn’t as active as it had been of late, though temperatures still hit 96 degrees with relative humidity hovering about 19 percent. “For the first time in 3 days, the fire was not as aggressive as was anticipated,” incident commanders wrote in the Tuesday evening update, posted to InciWeb. Hotter conditions and gusty winds are forecast for Wednesday. Eight heavy helicopters and six heavy air tankers will be supporting ground operations Wednesday, as conditions allow. The lightning-sparked fire started April 6 has burned 140,400 acres and remains just 12 percent contained. A DC-10 on a fire in Utah. Posted on Twitter by the Alpine Hotshots September 4, 2016. Above: photo by Marion County Sheriff’s Office. A Marion County Sheriff’s Office helicopter went down in a lake during water bucket operations on a wildfire in Florida Tuesday at about 6:30 p.m. In his last radio transmission pilot Sgt. John Rawls said he was going down, then after the helicopter rolled over at least once he exited the ship and swam about 50 yards to shore. Only the tip of one rotor blade sticking out of the water is visible at the lake now, according to officials. The Sheriff’s Office said the helicopter experienced a malfunction as it was refilling the water bucket. The Florida Forest Service and Marion County Fire Rescue assisted Sheriff deputies in making a path to the lake with heavy equipment in order to reach the pilot. Sgt. Rawls was transported to the hospital and is currently in stable condition. The NE 212th Street Road fire is in Marion County, Florida about 20 miles northeast of Ocala. It has been burning for about a month. Map showing the approximate location of the fire that the helicopter was working on when it crashed. Sgt. Rawls has been with the Marion County Sheriff’s Office since 1998. He is also an Army helicopter pilot veteran who served during Operation Iraqi Freedom. An inadvertent release of retardant occurred along a five-mile long path near Lake City, Florida. File photo of Neptune’s Tanker 41 at Boise, July 19, 2014. Photo by Bill Gabbert. On Tuesday April 18 one of the three large air tankers working on the West Mims Fire on the Georgia/Florida border reported issues while in flight and could not actuate the gate which allows retardant to be released. 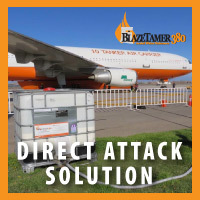 While returning to the tanker base, one of the tank’s gates had a malfunction, allowing approximately 40 gallons of retardant to be released intermittently along a five mile path, Dan Synder, President of Neptune Aviation told us. The aircraft that had the problem was Neptune’s Tanker 41, a BAe-146, according to Mike Terry, the Air Operations Branch Director on the fire. On Tuesday it dropped 5,951 gallons. It’s not clear if that included the inadvertent drop. The BAe-146’s can carry up to 3,000 gallons. The Incident Management Team is advising anyone who was affected by the retardant to call the West Mims Fire Information Line at 904-452-4627. The West Mims Fire has burned 21,790 acres in Florida and Georgia since it started April 6, 2017. Most of the fire is in the Okefenokee National Wildlife Refuge, John M. Bethea State Forest, and Osceola National Forest. Thanks and a tip of the hat go out to Willard and Tom. In this video, Air Tanker 131, a C-130Q, is seen making two drops with water — instead of fire retardant — on the Mud Lake Complex of fires in Big Cypress National Preserve in south Florida. This is an unusual tactic for most large air tankers that normally drop retardant. It was a direct attack on the edge of the fire, rather than being offset as they would usually do with retardant. In the United States, federal policy does not allow retardant to be dropped near water. Many areas in the Mud Lake Complex were near wetlands. Air tankers that can skim over the surface of a lake, scooping water to refill their tanks, usually drop water instead of retardant. 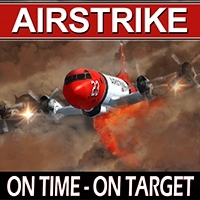 Those aircraft include the Air Tractor Fire Boss, CL-215/415, and the Martin Mars. 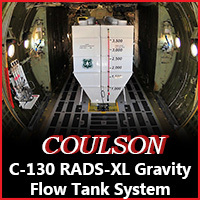 Coulson Aviation attached a GoPro camera to the belly of their C-130Q to record the video in May, 2015. 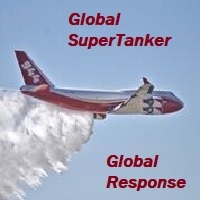 If you are wondering how far water dropped by an air tanker spreads out laterally, check out this video of a scooper dropping on a vehicle fire in Canada. Everglades National Park’s N626, a Bell Long Ranger. Photo by Clayton Camblin. Many of the 1 million acres in Everglades National Park are inaccessible. The swampy terrain is not very conducive to the establishment of an extensive system of roads so park personnel often rely on helicopters to facilitate the accomplishment of a variety of tasks. The park has a very active aviation program, occasionally using several helicopters in one day. They have contracted for an exclusive use contracted helicopter plus call when needed aircraft since the mid- to late-70s, but in April, 2014 acquired their own ship, a Bell Long Ranger. For now they are using pilots under contract, but are considering, AFMO Jack Weer said, hiring their own pilot. The aviation program is managed by a crew of five. Approximately 70 to 80 percent of the 450 to 550 hours of aircraft time in the park each year is for research, alligator capture, bird surveys, hydrology, fisheries, vegetation surveys, and python location. 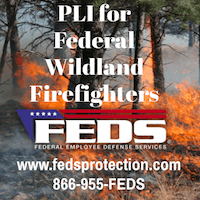 About 20 to 30 percent is used for fire management, including recon of wildfires and prescribed fires, aerial ignition, and dropping water with a 108-gallon Bambi Bucket. In 2014, 241 hours were used by call when needed aircraft, and 236 by the NPS-owned ship. Other agencies also use aircraft in the park. Recently the EPA used two float-equipped helicopters for 21 days in order to land at about 120 spots to monitor environmental conditions. Occasionally Everglades personnel need to land on water, and use a float-equipped helicopter. Photo by Clayton Camblin. Since the helicopter is generally used in south Florida which has numerous airports, they do not maintain a fuel or service truck like you would see at most fire-related helicopter operations, but they do have a helitack truck and can mobilize a fuel trailer if needed. Aviation personnel put on water ditching training on a regular basis, since many flights are over water. Photo by Vilma Luque. 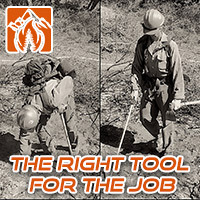 In the remote terrain aerial ignition is often used for prescribed fires. 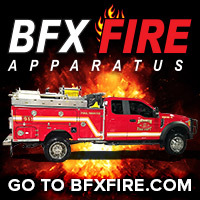 Recently fire personnel experimented with a technique for when a burn unit boundary is not a natural fire break. They ignite with the helicopter and after the fire gets going, they use a Single Engine Air Tanker (SEAT) to stop the spread near the intended unit boundary by dropping water. 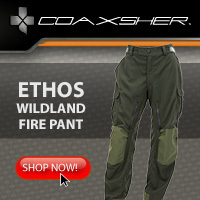 They do not use retardant in the Everglades, due to the fact that much of the park covered with or near water. Tanker 819, a Single Engine Air Tanker, used by Everglades. Photo by Clayton Camblin. 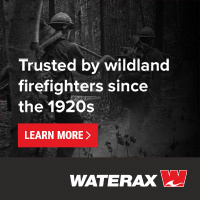 We have more information about the wildland fire program at Everglades National Park on our sister site, Wildfire Today. Miami -Dade Fire Rescue’s helicopter base at Tamiami airport in south Florida. Photo by Bill Gabbert. The Miami-Dade Fire Rescue (MDFR) Air Rescue Bureau has four Bell 412 EPs that are used for fighting wildland fires in south Florida as well as providing regional aero-medical transport, search and rescue, and tactical support to MDFR operations. Jim Hunter, an Aircraft Commander, said about 80 percent of their responses are for medical aids, with the remainder being rescue and firefighting support. Miami-Dade’s Bell 412 on duty at Tamiami. Photo by Bill Gabbert. The Bureau operates out of two facilities in south Florida, the Tamiami Executive Airport and the Opa-locka Airport. Maintenance, administration, and training is conducted at the Tamiami facility. There is always an “alert aircraft” helicopter staffed 24/7 at each location, along with two pilots and two paramedics for each. The other two helicopters are used for backup when an aircraft is down for maintenance. The day we were there, a backup ship was ready to be wheeled out on a dolly to the ramp if needed, and the fourth was undergoing heavy maintenance, which included removing the engines, rotors, and many other components. The backup helicopter is available if needed. Photo by Bill Gabbert. 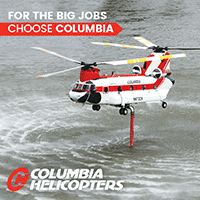 During the dry season, January or February through May, the helicopters are equipped with a 350-gallon Simplex belly tank for firefighting, which takes about an hour to install, Mr. Hunter said. The tank has three doors which can be opened independently or all at the same time depending on the need. While the helicopter is hovering, the tank is filled through a snorkle with a 5 gallon per second pump powered by an electric motor. They also have a 240-gallon Bambi Bucket. A Simplex 350-gallon belly tank is usually mounted during the busy part of the fire season. It takes about an hour. Photo by Bill Gabbert. They prefer to use the 350-gallon fixed belly tank, but a 240-gallon Bambi Bucket is also available. Photo by Bill Gabbert. Patient loading systems normally configured allow the transport of two critical-care patients, with the option to reconfigure for up to six patients in Mass Casualty Incidents (MCIs). An external hoist for helicopter-borne rescues. An external high-power searchlight, “The Night Sun,” is used for night operations. MCI Command and Control suitable radio suite. Night Vision Goggle compatible lighting. They are also equipped with weather radar, but Mr. Hunter said the pilots prefer to use an iPad connected to the Internet, since it can show troublesome weather at a longer range than their radar.